Try Continuous Ink System with your Epson WorkForce WF-2510WF0 and make 30 times more quality prints for the same money! Pay only 0.04 USD for A-4 full color print! Get more copies, pay the minimum! It's possible with CISS Epson Workforce WF-2510WF! Presented device cardinally reduces the cost of printing and at the same time the printing quality remains high. Epson Workforce WF-2510WF CISS is a wonderful alternative to the original units and is the best choice concerning the quality in the world of printing. Presented systems allow to reduce spending on printing significantly, cuts down on costs of each copy more than 30 times. CISS installation pays for itself almost immediately; this is an important decision for the office and home. On our web-site you would find and acquire CISS for Epson WorkForce WF-3010DW at a profitable price. Printing volume averages thousands of copies. It's easy to calculate when your purchase justifies itself. 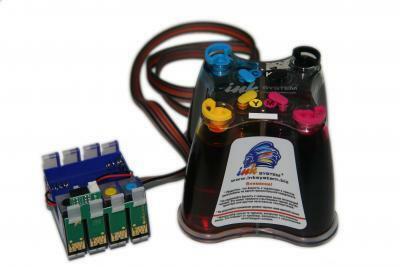 Buy ink system for Workforce WF-2510WF is fast and easy you on our web-site. The construction of ink system is made to guarantee the reliability of printing. ciss ink system Epson WF-2510WF is waterproof; the assembly is made the best. 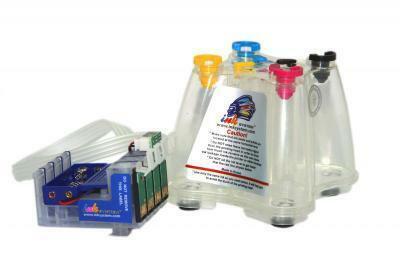 In addition, there is no need to change cartridges; therefore the printing head is protected against getting air. On our site you can also buy CISS Epson WorkForce WF-2530WF.